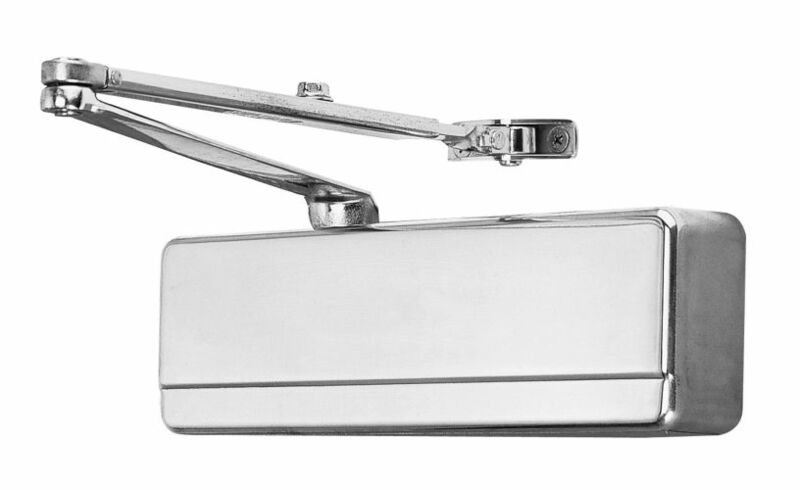 Grade 1 Aluminum Non-Handed Door Closer from the 1431 Collection Meeting the engineering demands of architects and building owners, the 1431 line of surface mounted door closers is a complete line of closers for interior and exterior doors with quality and flexibility to meet virtually every application. The 1431 line has a standard application, the most common and desirable, and then has the parallel arm applications, well suited for narrow face frames and deep reveal applications. Sargent has been in the business of building quality hardware since the 1800 s. They became a part of Assa Abloy in 1996 and since then has begun to focus on refining their manufacturing process, along with the development of new and innovative products. Sargent continues to lead the industry in new product introductions and innovations to existing products. You can count on Sargent to provide you with the safety and security you desire.